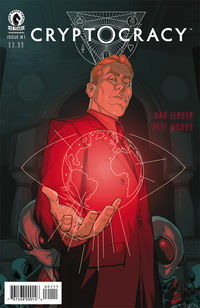 Each week we take a look at a small selection of New Comic Book Day books. From this week’s new releases we’re looking at: Spider-Gwen, Captain America Steve Rogers, a new Dark Horse series Cryptocracy, and the start of Valiant’s final arc of X-O Manowar. Be sure to comment or share our post on Facebook or Twitter if you like our articles! 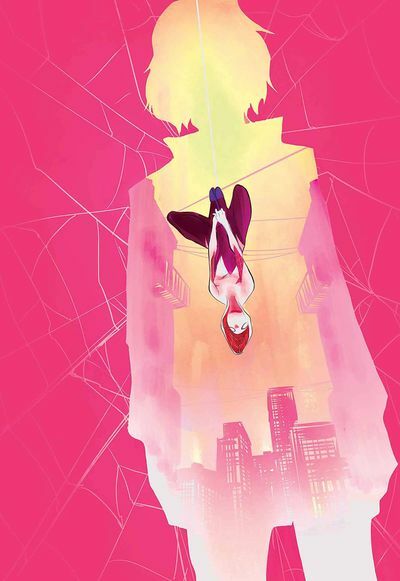 Our first Spider-Gwen Annual is in the bag. We get five stories in this double-sized book, and I gotta say, it was a ton of fun! I know, the Parker story is tragic, but seeing it from this other Earth’s (I believe it’s Earth-65) side is really cool. I like seeing how events were different. The first story is the wrestling story retold, wherein the 616, Parker tries to win money, and Uncle Ben dies. This time, Spider-Gwen is trying to win it all. Wrestling against She-Hulk. 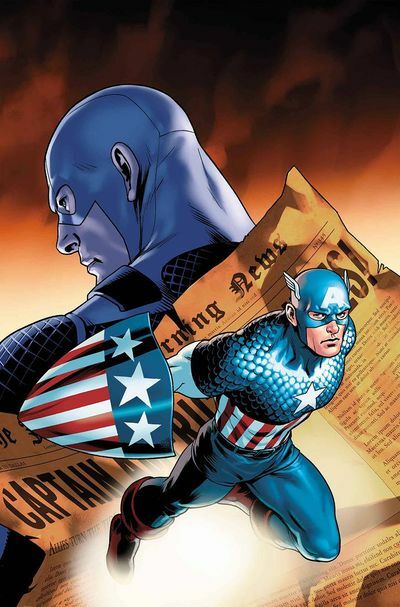 Captain America makes an appearance, but this is definitely a different Cap than we’ve had before with a very different backstory. Similar to some events, but overall a cool, different take, with lots of nods to the 616 characters. I don’t want to spoil the fun of these other stories. I will, however, say that I want to see some of these heroes and villains more regularly. After last month’s mind blowing ending, we get plenty of answers in this issue. Nick Spencer lays it out all out for us with the utmost detail and makes it all worthwhile. It is not simple but it is not complex either. What it is, is ENTERTAINING. Spencer’s writing continues to be humorous where needed and moves us right along. His arc here is sure to be an epic story. Welcome to Cryptocracy (noun [Plural Cryptocracies] 1. A form of government where the real leaders are hidden or merely unknown). Forget the Illuminati, Freemasons, and The Knights Templar This is what is actually running the world: nine families and a few thousand followers/agents (not all human by the way). Long ago in the year 2012, we saw the relaunch of the Valiant universe with the release of the first issue of X-O Manowar. It filled me with hope that my favorite independent comic book characters of the ’90s were back. I was blown away at the respect and heightened level of intensity in which the new Valiant were delivering. 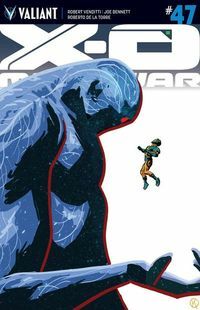 X-O Manowar, the flagship character, and the comic book was truly something amazing; and with new life infused, it was sure to go in a bold new direction. Here we are, at what could be the final arc of the story, and I can’t help but feel that there is still a much bigger picture in play. This issue does not make a new reader feel too lost, although it would probably not be the best place to start.